The mileage compared to the number of races doesn’t seem all that great. Really. 166.5 miles is how many “race” miles we ran in 2014. Thirty-four is the number of races. Yes, just like every other blogger on the good ol’ internet, I am going to do a little recapping for you. And of course, there will be pics. I decided to pick one race photo from each month that we raced – that would be 10 out of the 12. Keep in mind that we live in Minnesota. Now we could have raced in January and December, but we didn’t! That’s not to say we didn’t run – OUTSIDE – during those months. We did. We just didn’t race. In January, I managed to run 32 miles and in December I got in 20 miles (yes, a tad bit less than my November miles!) At least I still got out there and ran! I do have to mention that during the month of December, I have really focused on taking group exercise classes and a little less on running. Which I have to say, has helped improve my running when I have gotten out there and ran. Q: Which month was our busiest for races? A: May and October tied with five races each. February was our least raced month with only one race that month. 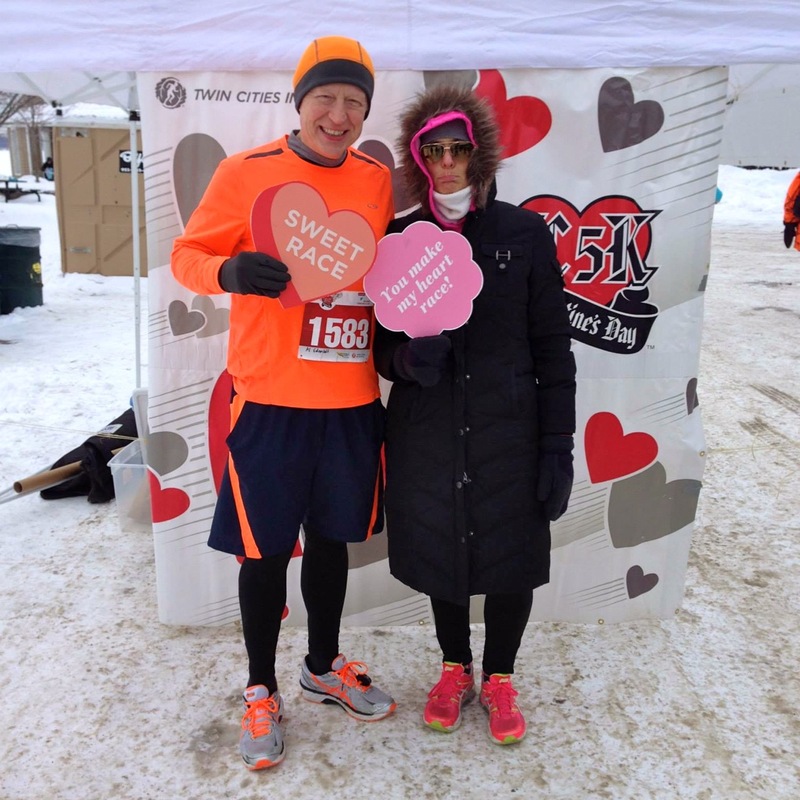 Pictured above: The TC Valentine’s 5K in February – technically, I did not run this race, but I ran a 5K the next day and called it good! Q: How did we do in the other months? A: Here’s a breakdown: February – 1, March – 2, April – 4, May – 5, June – 3, July – 4, August – 3, September – 4, October 5 and November – 3. 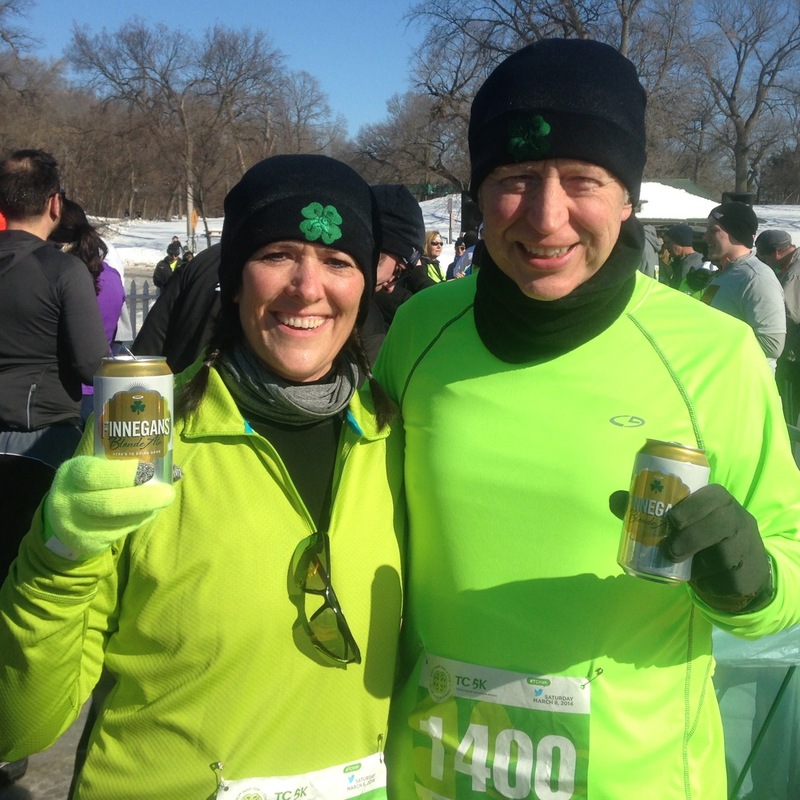 Pictured above: The 100% Irish for a Day 5K in March. Q: What distances did we run? A: We ran 5Ks (3.1 miles), 10Ks (6.2 miles), a 7K (4.34 miles), quarter-marathons (6.55 miles), half-marathons (13.1 miles), a 10-miler, a 4-miler and a half-marathon relay. Pictured above: The Get in Gear 10K in April. Q: How many of each distance did we run? 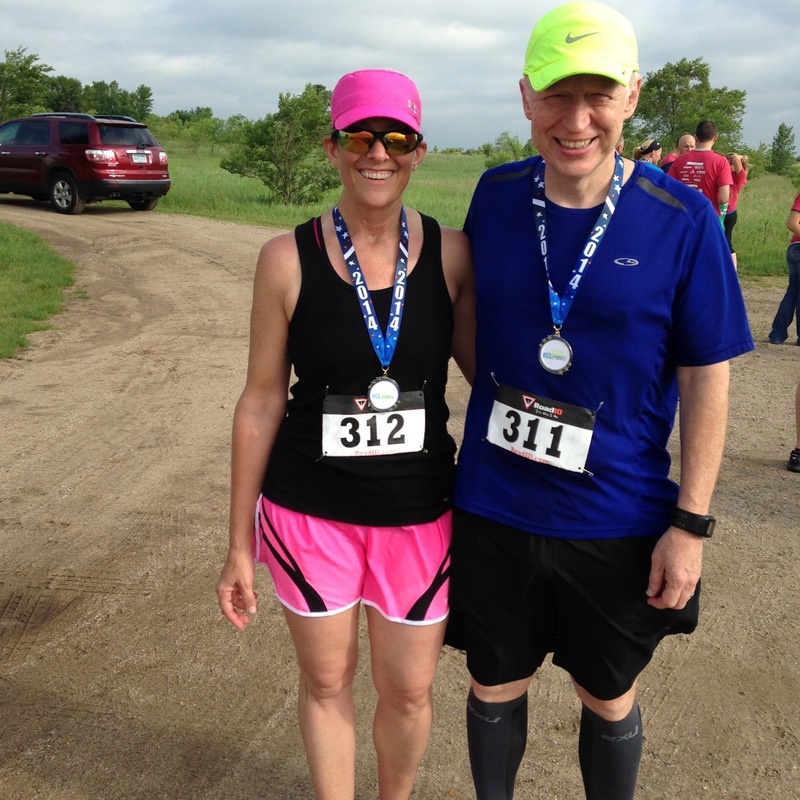 A: We ran 13 5Ks, 13 10Ks, two half-marathons, two quarter-marathons (one trail race, which was a first for us and one regular one) and then one each of the rest of the distances – 7K, 10-miler, 4-miler, half-marathon relay. Pictured above: The Fargo Half-Marathon in May. 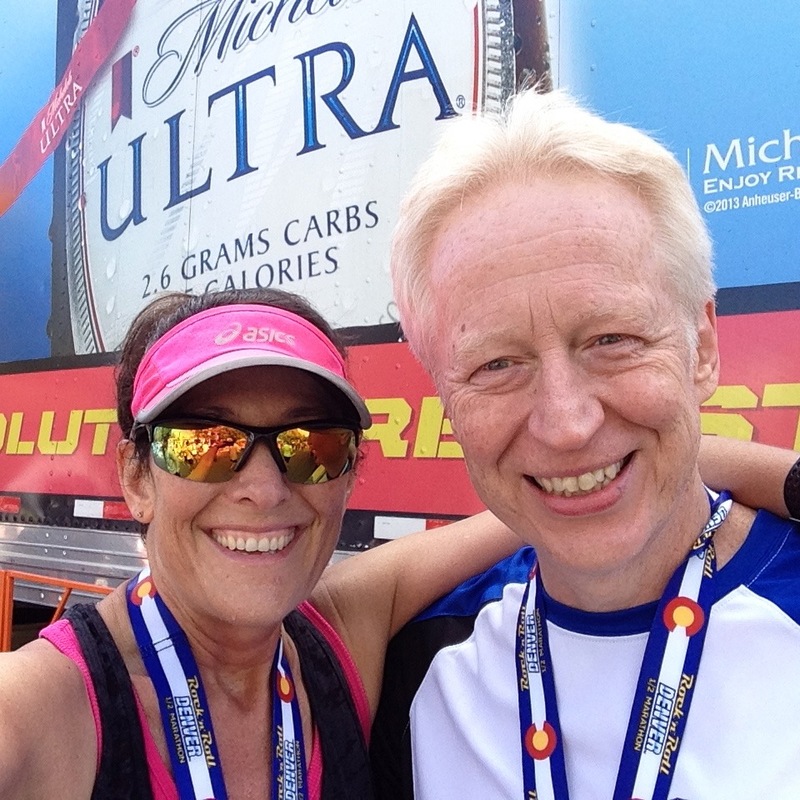 Q: How many miles in 5Ks and 10Ks did we do? Pictured above: The Lakes Area Endurance quarter-marathon in June. Q: How many different cities did we run in? A: We ran in 15 different cities, including Minneapolis, Cold Spring, Wayzata, St. Cloud, Glenwood, Alexandria, Fargo, Fergus Falls, Brainerd, Henning, Richmond, Kerkhoven, St. Paul, Osakis and Denver. 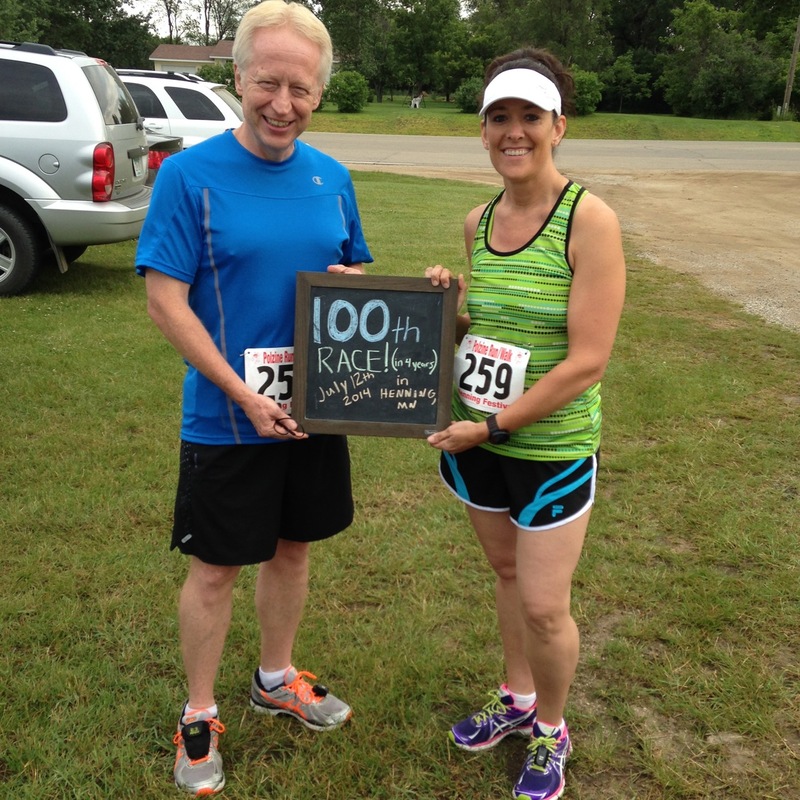 Pictured above: The Henning Polzine 5K in July – our 100th race! Q: Which city have we raced in the most? A: Minneapolis is where we have spent the most time racing with Alexandria (where we live) coming in a close second. We have raced eight times in Minneapolis and six times in Alexandria. St. Paul and Fargo each had three races with Cold Spring, St. Cloud and Fergus Falls each having two. The cities where we only raced once include Wayzata, Glenwood, Brainerd, Henning, Richmond, Kerhoven, Osakis and Denver. Pictured above: The Tiki Run 10K in August. Q: How many states have we raced in? A: Only three – Minnesota, North Dakota and Colorado! Pictured above: The Victory Labor Day 10K in September. Q: What’s the smallest race and the largest race we race in? A: The smallest was in Osakis with only 19 participants and the largest was not the half in Denver, which surprised the heck out of us. 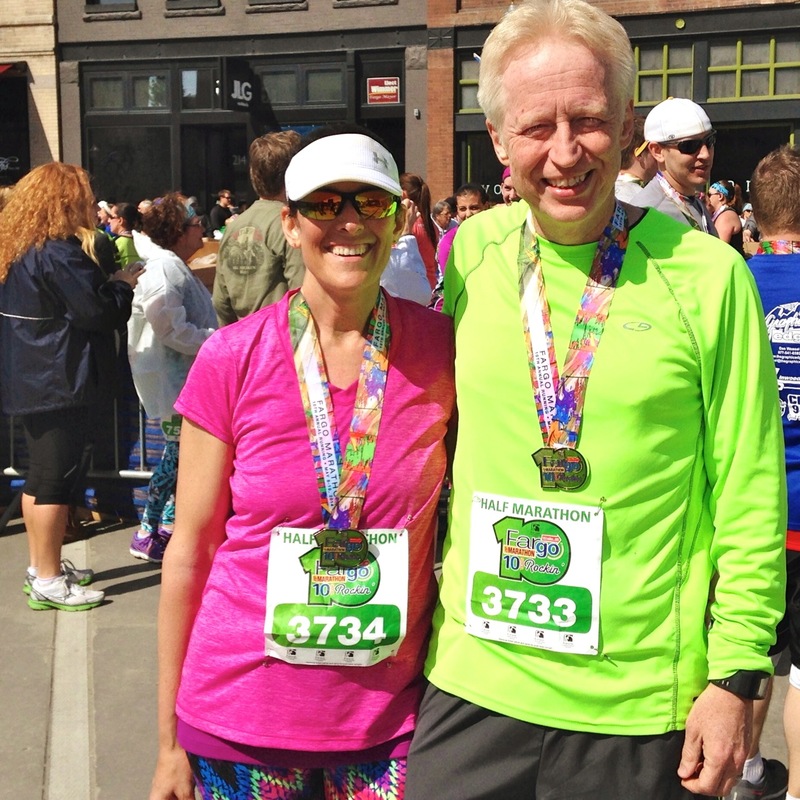 The Denver half-marathon had 8,147 participants. 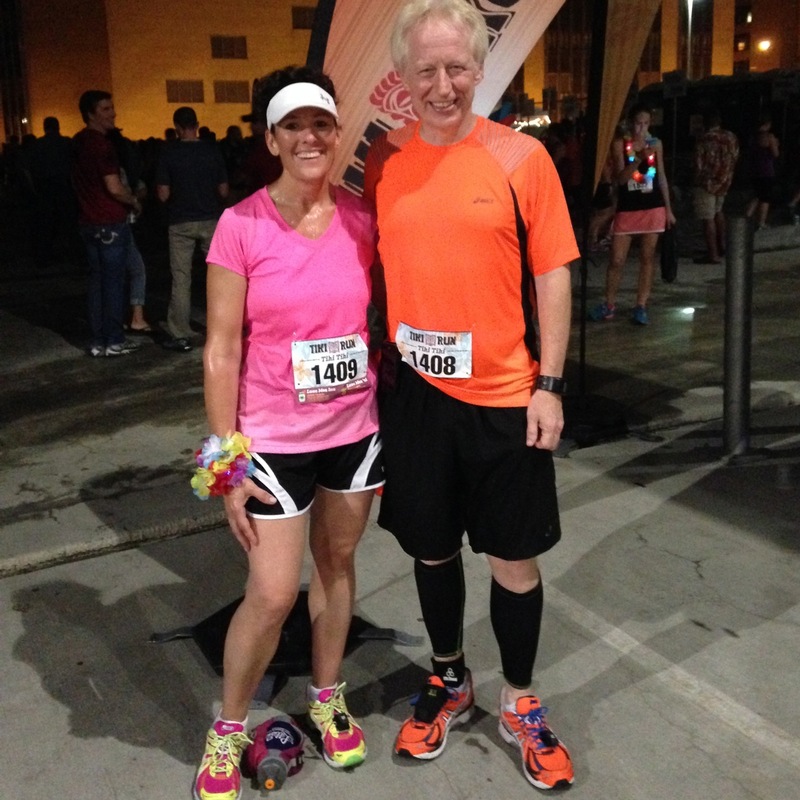 The largest race was…………the Get Lucky 7K, which had 10,918 runners! Now that’s a race. Pictured above: The Rock ‘n’ Roll Denver Half-Marathon in Denver, Colorado in October. Q: What was our favorite race and why? A: Al’s favorite race was the half-marathon in Denver. When asked why, he responded, “Big race. Big distance. Beautiful city.” Mine is a tie between the half-marathon in Denver and the half-marathon in Fargo. I agree with Al on why he chose Denver. It was an awesome race. But, the reason I also pick the Fargo one was because A. It was flat. B. There were tons of spectators. and C. I got a personal best! 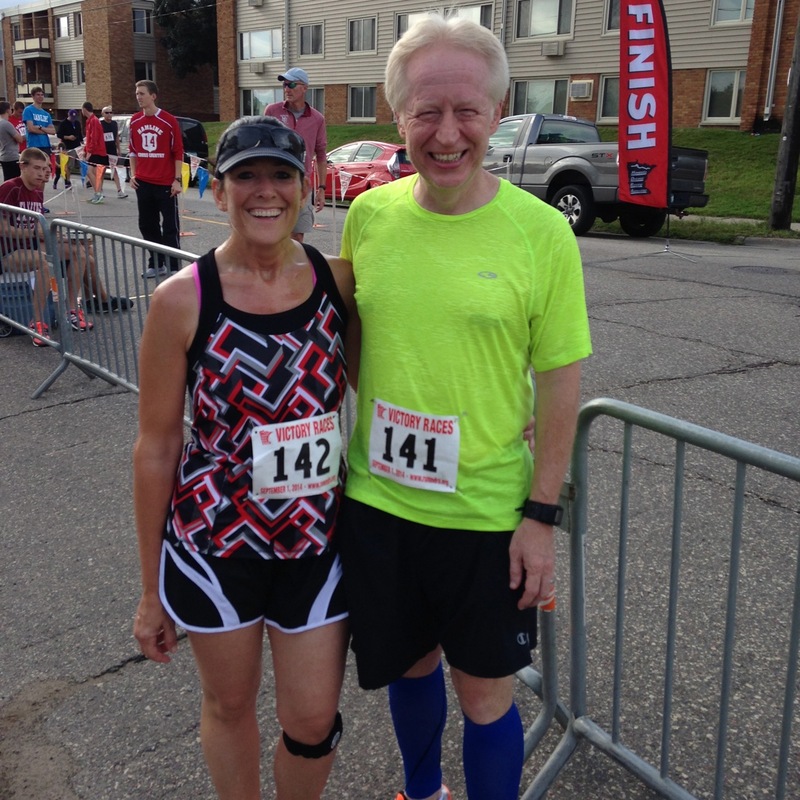 We also both agreed that the race in Henning, a 5K, was the most special because it was our 100th race since we started running. 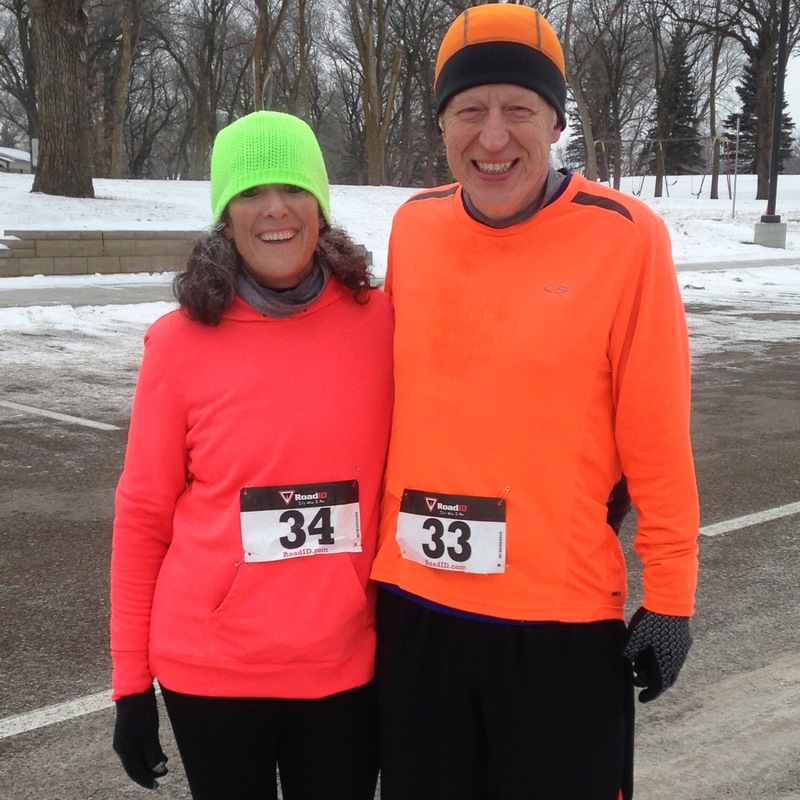 Pictured above: The Fergus Falls Turkey Trot 10K in Fergus Falls in November. Q: What was the coldest and the hottest race? A: The coldest race was the Thanksgiving Day race at the YMCA in Alexandria. 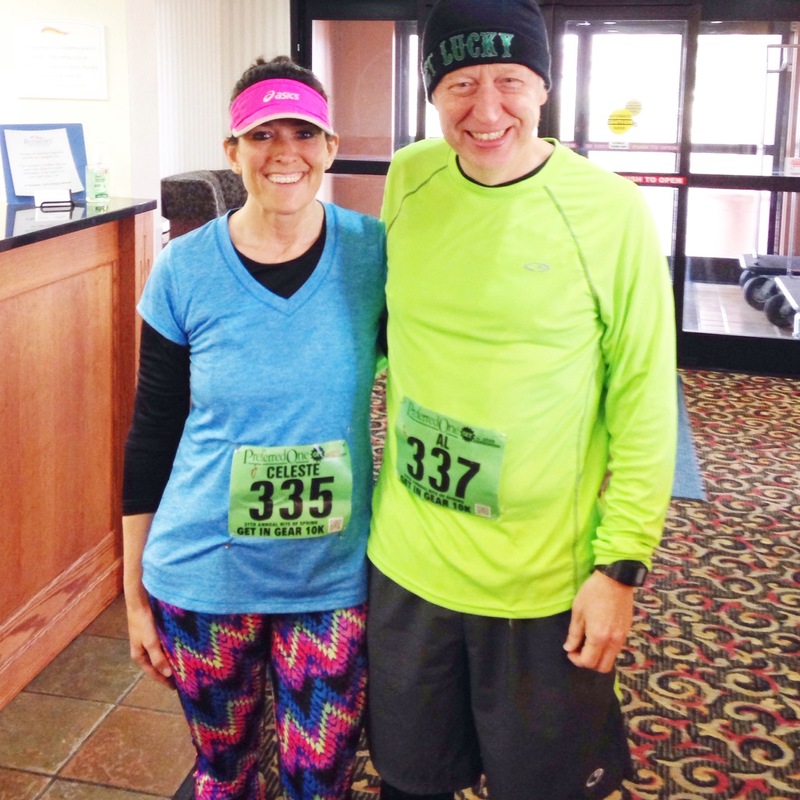 The unseasonably cold temperatures made for some frosty runners at the end of the race. The actual temperature was -10ºF with a real feel of -25ºF. Yep, that sure is cold. We didn’t really keep track of the temperatures except for the Thanksgiving one because it was so ungodly cold. We are guessing the hottest race was probably around 85ºF – 90ºF. So, there you have it. My recap of our year in races. 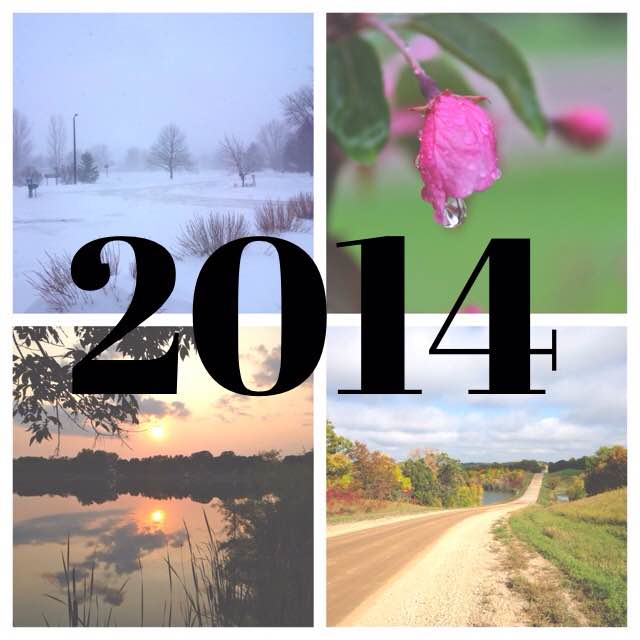 Not sure what 2015 will have in store for us, but I am sure it will be good! Awesome year, Celeste! I’m so impressed by you two and can’t wait to see what 2015 brings you in running adventures 🙂 Happy New Year! Thanks, erin! I can’t wait to see what this year brings for you, also! What a great year Celeste! Wishing you both a great new year and many miles together! Thanks, Travis! And same back to you…wishing you a great 2015! Next Next post: Show me what you got, 2015!